Are you a businessman? Do you have a lot of business cards? If you do maybe this service good for you. 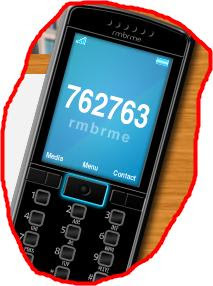 Rmbrme.com is a free service that allows you send business card by your cellphone, it called "bzCards". It is easy to use and fast to create new connections. How does it work? Actually, it is a text message service. 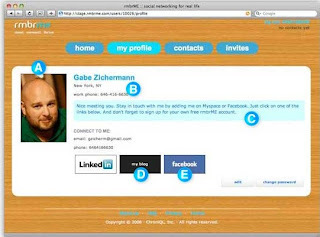 After you registered with Rmbrme.com, you will get an account that lets you create your "bzCards". When you meet someone new, just text their cellphone number or email address to 762763 (RMBRME). They will get a link to your bzCard quickly where they can add you to their address book. You can also get their bzCard sent back to your phone. It works with any text message capable phone and on any cell phone carrier in the US.